Renting a vintage car, or borrowing one for your wedding day makes a great photo-op for your portraits. 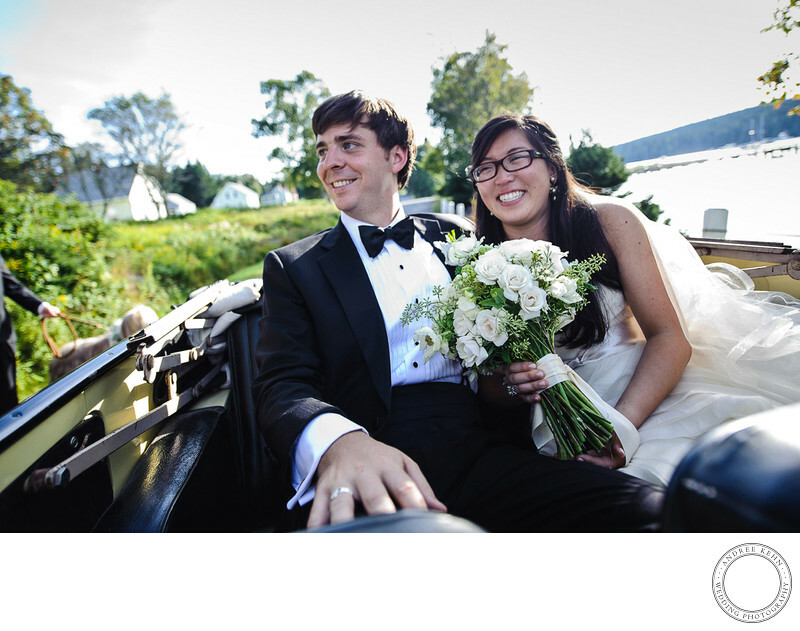 A Maine Island wedding, on Isle Au Haut, this couple had all of ten miles of road, and used three or four of them, but they drove around in absolute style, making this one of my top-ten weddings of all time. Keywords: Andree Kehn (84), Andree Kehn Wedding Photography (1287). 1/400; f/2.8; ISO 320; 20.0 mm.